Have you ever wanted to travel in a convertible Mustang on Beverly Hills' most luxurious streets? Are you curious to know what celebrities' houses and their neighborhoods look like? Have you ever wanted to learn interesting facts about these celebrities? If so, then this is the tour for you! 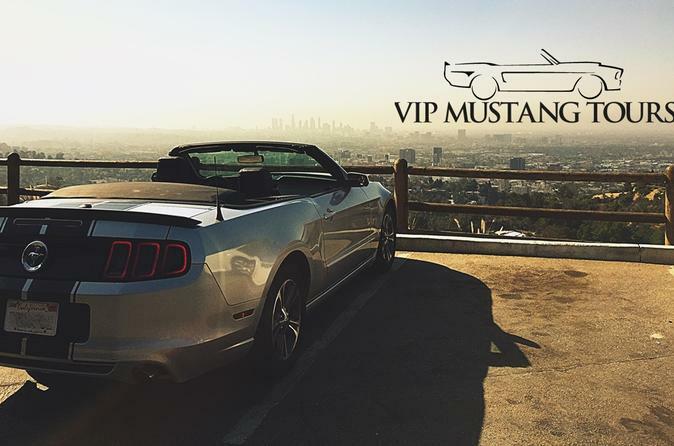 Travel in luxury and comfort with VIP Mustang Tours that take you to the popular places where your favorite celebrities live, work, eat, shop and socialize. Each VIP tour takes around 2 hours and is up to 3 people max. Join the Hollywood tour company with a difference. We are the only Hollywood tour company using a 305 horsepower Convertible Mustang for our customers. As we lead you all the way through Los Angeles, Hollywood, Hollywood Hills, Beverly Hills, Rodeo Drive, Sunset Boulevard and more to explore the most exclusive residential areas in the city. Our 2 hour Hollywood VIP tours take you to the popular places where your favorite celebrities live, work, eat, shop and socialize. Each tour is up to 3 passengers max. You will get to visit many celebrity houses and famous neighborhoods along the way. We make the entire process customized. If you would like to stop and take pictures of the view, celebrities or celebrity houses, we will gladly do it.